Here is a map demonstrates territory of Russia. actual map of Khislavichi download for free. map of Zimnitsy with gps calibration for Garmin. detailed map of Zamosh'ye и OziExplorer calibration this. detailed map of Zakharovka for gps. map of Novoye Zakhar'ino here. actual map of Zagluboch'ye for Garmin. map of Zabor'ye 1 cm to 1 km presented. topographic map of Iozefovka 1 cm to 1 km download for free. interesting map of Yurkovshchina with gps calibration free download. actual map of Vysokaya Buda 1 cm to 1 km displayed. actual map of Vydritsa with gps calibration displayed. interesting map of Volkorezino и OziExplorer calibration download for free. topographic map of Vladimirovka calibrated for you. interesting map of Uskosy for you. topographic map of Upino calibrated for you. 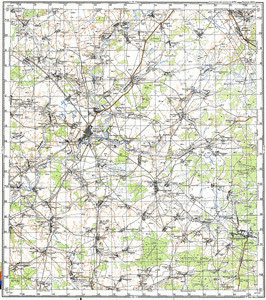 detailed map of Malaya Trostyanka free download. actual map of Trostyanka free download.